The focus of Port Elizabeth Branch begins with the automotive industry and ends with our last customer for the day. "We aim to deliver a customer experience that surpasses expectation, and truly re-defines what the world expects from their mechanical seal partner." I’m responsible for Technical Support within the Mossel Bay area for AESSEAL (Pty) Ltd – Port Elizabeth branch since April 2013 focusing on the petrochemical sector. 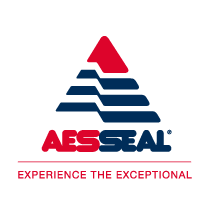 I have joined AESSEAL (Pty) Ltd in June 2011 and have since become an integral part of a dynamic sales team supporting all aspects of our business around Port Elizabeth including sales, repairs and site work. I’m focused on groundbreaking business development within various industries from East London to as far as Mossel Bay since I joined AESSEAL (Pty) Ltd in September 2008. Please do not hesitate to contact me with any questions regarding mechanical seals and support systems requirements or equipment reliability issues or any of our Product Range.